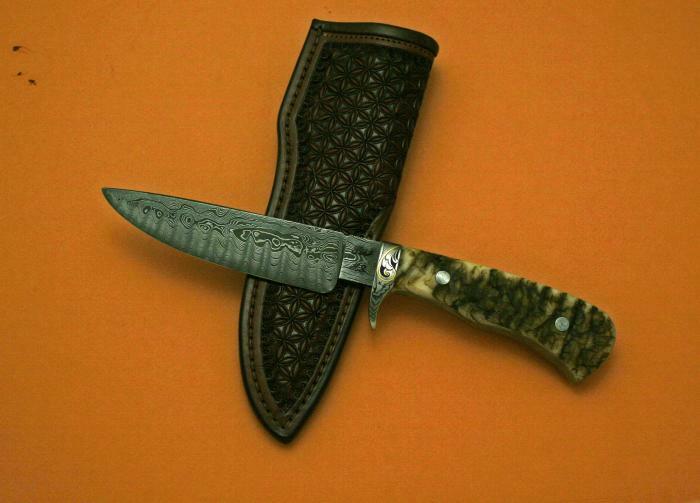 This Gamemaster was available at the Arkansas Custom knife show Feb 22nd. It was a one off piece. I only make about 3 sheep horn knives a year because I am picky about getting the just right sheep horn. It was filmed by a history channel pilot program as well. Embellishments: Deep relief scroll Engraving on the guard and pins with 24kt gold inlay.